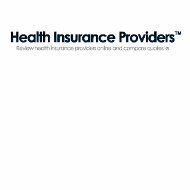 A review of Swiss Health Insurance America Corporation ends up at Swiss Care, a provider of international insurance, as well as insurance for Swiss citizens and expatriates to Switzerland. The company operates online extensively, offering traveler’s insurance and health insurance for individuals, families, and companies. Type in your zip code now to get great health insurance rates for you and your family. Swiss Care also offers special insurance for the unique traveler around the globe; the traveler’s insurance is accepted everywhere and is extended to every individual or group from and to any country. In 1994, the Federal Health Insurance Act made health insurance obligatory for all citizens and long-term visitors to Switzerland. Anyone who is residing or born in Switzerland has three months to purchase health insurance. This ensures that everyone in Switzerland has access to health insurance in the event of an accident or illness. The insurance covers all treatments and hospital stays, including health care cost associated with maternity. The insured party pays the yearly deductible, called the franchise, and 10% of any costs that go over the deductible, but not to exceed 700 francs. The deductible is chosen by the insured and can range from 300 francs to 2,500 francs. The insured is expected to pay up to 8% of his or her personal income to cover the insurance premium; if the insurance cost is higher, then the government extends a cash subsidy to cover the cost of the insurance premium. Premiums are determined by the size of the deductible, the age of the insured, and the area where the insured resides. Liability insurance is often required by law as well in most areas to cover damage vehicles, homes, and property. More information on Swiss insurance laws can be found at the website for the Swiss Insurance Association, which oversees insurance in Switzerland. Swiss Care provides health insurance for those who are citizens of Switzerland to meet the health care requirements of Swiss law. Anyone else who is not a Swiss citizen, and is planning to stay for a period longer than three months, must purchase health insurance to cover the time they will be staying. Students, Au Pairs, teachers, interns, researchers, and businesspersons must all have health insurance under Swiss law. Swiss Care offers a range of health care deductibles and premiums for visitors and their families. A foreign student can opt out of the Swiss health care plan if he or she has health insurance provided from an accepted company outside of Switzerland. Swiss Care also offers pet insurance and liability insurance. The liability insurance can cover renters, homeowners and those with expensive items such as jewelry, art, or instruments. Swiss Care offers insurance options to those outside of Switzerland with traveler’s insurance options. The company’s travel insurance must be purchased within eight days of booking travel, and it will cover you in a number of events. You will be covered if your trip has to be cancelled because of the death of a close family member, illness or accident or a natural disaster. The cost of flights, hotels and other rentals will be covered with traveler’s insurance. Traveler’s insurance from the company will also cover you if you become ill on your trip; the insurance will cover foreign medical care and the cost of the trip back to your home country. The insurance is accepted in every international country. The company also offers group health insurance for schools and small businesses up to large corporations. Traveler’s insurance is offered to companies, too, with a discount for more than five employees. The company’s website has a wealth of information for customers and clients to explore all of the insurance options; since Swiss Care supplies international insurance, some clients will only ever have contact with the company through the website. Deductibles and premiums are listed for most of the insurances the company offers; the prices are in francs. Applications that are needed to apply for various forms of insurance can be downloaded from the site. The site also list requirements for VISAs and special plans for residents of certain countries. An extensive question-and-answer page, or FAQ, is also located on the website to address the most frequently asked questions. The office is open for business from 9:00a.m. to 12:00 pm and 2:00p.m. to 5:00 p.m., Central European Time. The company can also be emailed at [email protected]. The fax number is +41-840-002-001. The company also has a fill-in form that can be sent electronically to request information. Enter your zip code now to get health insurance quotes for you and your family.